We posted this on Facebook as soon as we saw it! How fascinating that Kiasma, the Helsinki Museum of Contemporary Art organizes guided tours for infants of three to eleven months of age. 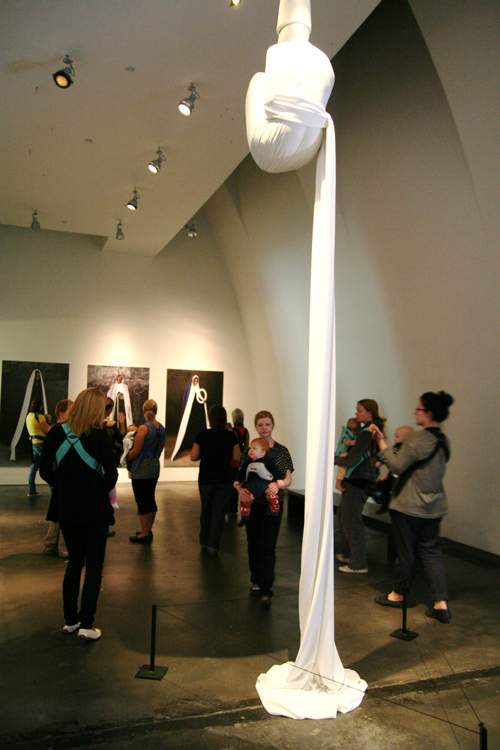 We could hear the guide urging the parents to step closer to the artwork so that the babies could have a better look. With such a start, you would have to become aware of beauty in your surroundings, don’t you think?! 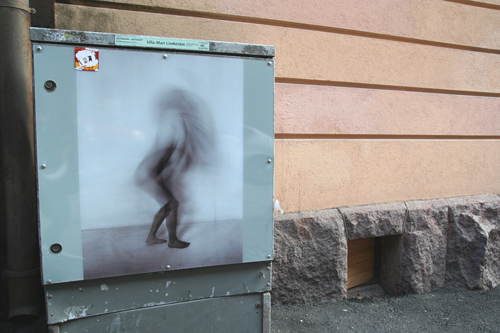 A power box in Helsinki has been transformed into a mini-gallery. There is an ‘Art Walk’ that you can follow through the city, with art pieces like this placed on otherwise unstimulating objects. Over in Stockholm, we found this photo exhibition in a very ordinary setting. 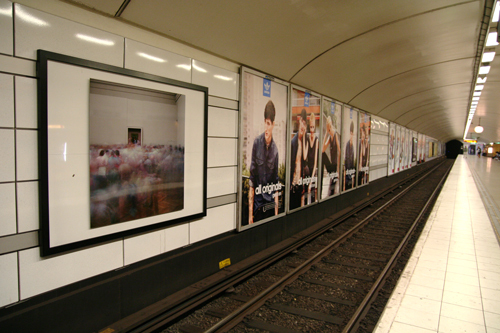 Subways are usually home to large poster ads. But the culture-loving Swedes would not have it! So apart from ad space, the walls of this subway have also been beautified by works of art – Inspiring culture rather than enticing the shopping gene. Waiting for a train has never been a more pleasant experience.